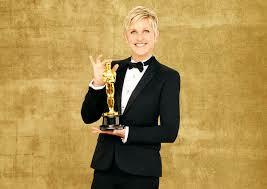 2014 Academy Awards! (Or That One Time John Travolta Messed Up Idina Menzel’s Name). – I thought that there was a large group of children behind Ellen when she was coming on stage, but it’s just a lot of fake Oscar statues. Sorry, random 3rd grade choir in Tulsa, Oklahoma. I guess this just wasn’t your year. – Poor Liza Minnelli! She looks good! What is this, a celebrity roast, Ellen DeGeneres? Liza is a legend who should be respected. – Wow, John Travolta has magically aged backwards by 44 years. It’s an Academy Awards miracle! – I bet Meryl Streep always gets front row at the Oscars. Even when she’s not nominated, which I think happened once.